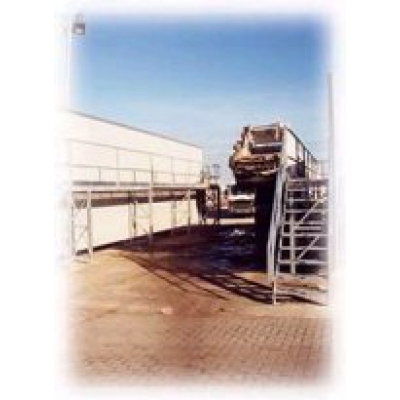 The Morclean Gantry Wash System is designed for the cleaning of irregular sized and shaped vehicles, using hot or cold water, and fully installed pipe work around the system. This provides access to high or irregular sized vehicles and is ideal for Transport, Waste Management or Plant. The pump unit, fuel and detergent is housed in a separate building and the system can be housed in a screen (SWS) to protect the surrounding area. The system is semi-automatic and one operator can access all the features without the need to either enter the plant room, switch on the unit, or the need for trailing cables and hoses. 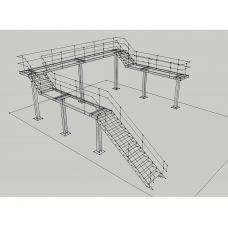 The operator can access high sided vehicles from the upper level of the walkway, and plug in to a conveniently placed point to access the required pressure etc.